Best Western Plus Ruston Hotel est idéalement situé dans le centre de Ruston. Venez découvrir et profiter de notre hôtel à côté des principaux sites touristiques. Réservation au meilleur prix et offres exclusives toute l'année. 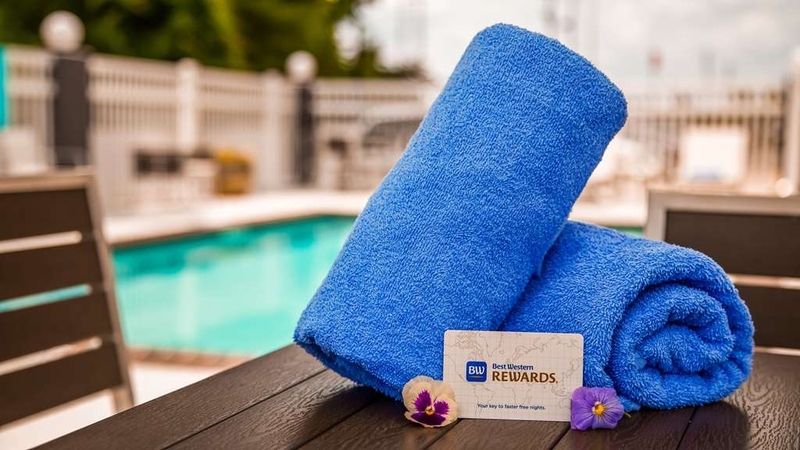 Dernier joyau de la couronne de Ruston, le Best Western Plus® Ruston Hotel est prêt à répondre à toutes vos attentes. Notre hôtel ultramoderne dispose de grands espaces communs, de chambres et suites agréablement aménagées. Un petit déjeuner composé de plats variés et sains est servi tous les matins. Que vous soyez en ville pour assister à un match des Bulldogs à Louisiana Tech, pour profiter de la beauté de la nature dans l'un des nombreux parcs régionaux, ou que vous ne fassiez que passer sur l'I-20, nous avons ce dont vous avez besoin pour rester connecté, en forme et prêt à affronter la journée. The room and breakfast area were large and clean. The hotel is just off of I20 but rooms at the end away from the highway should have little, if any, problem with noise. Within 10 minutes' (or fewer) drive from many restaurants. Nice staff. Had a excellent stay. The hotel was very modern and stylish. Didn't expect to have a hotel like this in Ruston. The breakfast was amazing and had a wide variety of food. All the hotel staff were very nice. Also the hotel was very easy to find. Will recommend to friends and family! The Best Western Plus Ruston Hotel has easy access from I-20. It is modern, very clean and comfortable, especially the beds. The employees seem to like people and go out of their way to meet your needs. Nice touches like a reception for BW members and a snack for the road when you leave. It has some of the same the ameneties of a luxury hotel. I highly recommend this property. Jenish, thank you for sharing your experience! We appreciate your feedback and look forward to hosting you again! I visited this hotel while on a trip to visit my sister who goes to Tech. Out of all the hotels I've stayed in in Louisiana, this one is by far my favorite! The staff was friendly and inviting, and the rooms were clean & sanitary. In the morning, we were going to go get breakfast, but I heard the breakfast served in the hotel was good, so I decided to try it. I tried the red velvet waffles and they were AMAZING! I will definitely stay at the Best Western Plus every time I come to Ruston now! Thank you, Jenny, for sharing the experience you had with us here at the Best Western PLUS Ruston! I especially appreciate you acknowledging our Team. They work hard to provide a memorable experience for Every Guest Every Time. We're glad to be your home away from home and we look forward to seeing you again soon! I loved the hotel. I loved the rooms. I loved the staff. Everything from the time of check-in until check-out was perfect. That bedding and the shower were the best! Phara at the front desk was so kind and professional and accommodated me so graciously. This is not usually my hotel of choice but I stayed here because of a promotion. It is now my hotel of choice for the Ruston area. Thank you for sharing your experience at the Best Western PLUS Ruston! We are so glad we exceeded your expectations. We are very proud of our hotel and do our best to make each stay a memorable one for our guests. Thank you again for your kind words and your business. I'll be sure to share your words with Miss Pharia. The hotel was pretty nice considering the area. I hear that the owner is not really a fan of Gramfam, but I wasn't aware of that prior to booking. In spite of that the checkin process was super easy, and the front clerk was really sweet. Thank you for sharing your experience! The owners of this hotel are long time residents of north Louisiana and understand how important Grambling is to this area and are appreciative of the business we receive from the university, it's alumni, and visitors. We appreciate your business and look forward to hosting you again. The room was spacious and clean. Beds were very comfortable. The staff was friendly and helpful. The breakfast was average. The eggs tasted like powder but there were a wide variety of offerings to make up for that. I highly recommend this hotel. Thank you for sharing your experience and for recognizing my Team! I'm sorry you didn't enjoy our eggs. I can assure you they aren't powdered but if they are mixed too much they do end up with the texture of powdered eggs. I believe I know what day you are speaking of and I actually already spoke to the attendant about it. I will let them know again though, just in case. I'm glad you enjoyed everything else and we look forward to hosting you again upon your next trip to Ruston. "Great time in Ruston, Great stay"
Top flight hotel. Pull off I-20 and enjoy yourself here. You won't regret it. 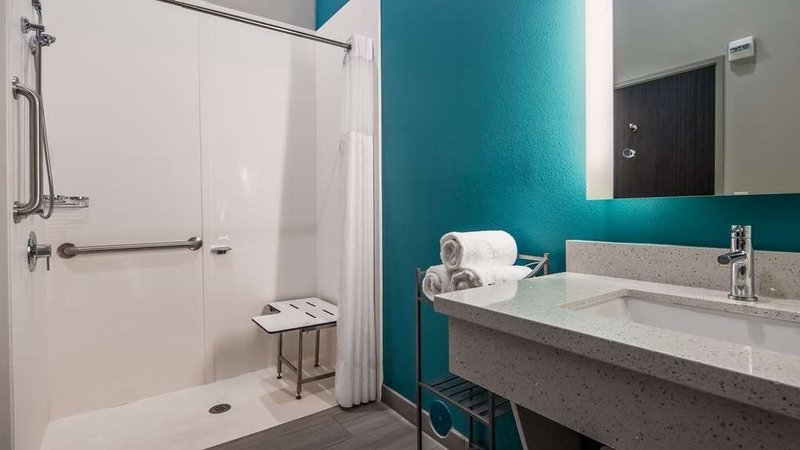 Clean, friendly and all the amenities you could think of so you don't have to leave anything to chance. Staff was very attentive to all details. Thank you so much for sharing your experience at the BW PLUS Ruston and for recognizing my Team! Your kind words and business are greatly appreciated. Come back and see us again soon! If you are just traveling through On I-20, skip the congestion and $$$ of Hotels in Neighboring cities. And stay in Ruston. Newer well maintained hotel. Nice amenities. Great staff. Only drawback is there are no restaurants on this side of the interstate, however that should change in the next few years. Normally stay at another chain hotel brand while traveling however this is the second time staying at a Best Western PLUS and I have never been disapointed. Will look for their PLUS hotels whenever I travel now. Thank you so much for sharing your experience at the Best Western PLUS Ruston and for recognizing my Team! I'll be sure to share your kind words with them. We are hoping that the restaurant in front of us will be open soon. The weather in Ruston isn't exactly conducive to quick construction. We appreciate your business and look forward to hosting you again soon! Had a late check and when I arrived, service was fast and friendly. The room was very nicely decorated with bright colors and very spacious. It was extremely clean. Breakfast was great. different choices which hit the spot. Check out was fast. I honestly dont have one bad thing to say about this hotel or my stay !! Thank you so much for sharing your experience at the Best Western PLUS Ruston. We appreciate your feedback and look forward to hosting you again soon. Thank you, Demond, for sharing the experience you had with us at the Best Western PLUS Ruston. We appreciate you and your family choosing to stay with us during this delicate time. On behalf of all of my Team, we send our condolences for your loss. This beautiful new hotel is a wonderful place to stay, whether on business, pleasure, or for a funeral as it was in my case. Hotel staff will go out of their way to help, lobby & dinning room are spacious and quiet, and breakfast is great with many choices! I will definitely stay at Best Western again. Thank you so much, Mrs. Mary, for sharing the experience you had with us, especially for doing so on multiple sites. We are so glad we could be here for your family during this delicate time. On behalf of my entire Team, we send our condolences for your loss and we very much appreciate the powerful words you shared with us at check out. You are so right. Take that trip, visit that friend or family member because none of us are promised tomorrow. The staff were so friendly and helpful! They went above and beyond expectations! The breakfast was by far the best hotel breakfast I've ever had! The room was clean and decorated nicely. We absolutely loved our stay and we will be back! Thank you so much for sharing your experience at the Best Western PLUS Ruston! We really do have a great Team and I appreciate you recognizing them. We look forward to hosting you again very soon! Hotel was clean and nicely furnished. There was a noisy motor running all night coming from the ac/heating unit - even though the unit was OFF. It was not a fan but a noisy motor. It's impossible to sleep if you don't have a quiet room.We won't be back. Thank you, Lori, for sharing your experience. I'm sorry that you had an issue with your stay. Our ac units are 'dry air' units which means that a fan runs all the time to keep the room from getting stuffy and to keep the moisture down so it reduces the chances of mildew occurring. That being said, it shouldn't have been making any noise. We weren't very busy that night and could have absolutely moved you to another room. Anytime you stay in a hotel, please always make sure you report any issues during your stay so the hotel can have an opportunity to fix the situation. Thank you again for your feedback and we hope you'll give us another chance on your next trip. "Great newer hotel in Ruston." My wife and I were attending a family Christmas party between Ruston and West Monroe. We chose to stay at the Best Western Plus in Ruston because it was close to the interstate and for overall convenience to us. The hotel is nice! I would recommend! The only downside is there is a restaurant being built in front of the hotel, and when I asked the staff about it they said it had been under construction for a long time (years) and it was progressing slowly. Thank you for sharing your experience! We appreciate your feedback and your business. To address the restaurant issue, we know it would be so much more convenient if it were already finished. Unfortunately, we don't own it and aren't in control of any of the work. It's a local family business and they are working on it as they can. I can tell you it will be awesome when it is open. It is a local favorite and I think our guests will really enjoy the convenience. Thank you again for your feedback and we look forward to seeing you again soon! I usually stay at a different (preferred chain) hotel, but they were sold out this trip. The property was modern, clean and comfortable. The breakfast area was laid out well and spacious, not to mention the selections were excellent. The on property gym was awesome and the staff courteous. The hotel exceeded my expectations. Thank you so much, Richard, for sharing your experience and for recognizing my Team! I'm glad we surpassed your expectations and we look forward to seeing you again soon! Thank you so much, Tina, for contacting me directly today so we could get this situation handled. I appreciate you bringing these issues to my attention and I can assure you that I am working with my Team to be sure these things don't happen again. We look forward to hosting you again the next time you're in town. New building that is nicely appointed. Staff is very helpful, professional and happy to help. The property is located close to dining and some shopping. The property is located right off of the freeway, however access to the property is somewhat confusing. I would recommend this property and would not hesitate to stay again. Thank you so much for taking the time to share your experience! I understand about the confusing access. We're on a one way service road so unless you're familiar with the area it can get kinda hairy. If you have trouble next time just give us a call and we'll direct you the easiest way we can. Everything about this hotel was excellent: staff, rooms, hotel interior, customer conveniences, location and value for the price. The staff were very pleasant and efficient. Our rooms were very clean and comfortable. The bedding and mattress were wonderful, and I appreciated the coffee maker in the room. I didn't use the hair dryer nor the cable tv but am sure others would have appreciated them. The bathroom had nice countertop space and offered a nice hot shower with good water pressure. Our friends invited us over for breakfast but we opted to eat at the hotel (!!) Parking was well-lit at night; security measures were excellent, and the hotel itself was away from expressway noise but conveniently located near restaurants and businesses. My room was near both the elevator and the ice-machine and I wasn't bothered by either of them (and I'm a light sleeper). This was just an excellent hotel stay. Mrs. Ruiz, thank you so much for taking the time to review us on multiple mediums. It's one thing for someone to take the time to fill out one of those things but for you to seek us out on another site to share your experience really means a lot to us. We appreciate your business and look forward to hosting you again soon! Best hotel I've stayed at in Ruston over the last several years. Big rooms. Very clean and new. Close but far enough from downtown and Tech's Campus. Maybe 5 minutes away from both. Easy access to I20 but no road noise. Large well lit parking lot. Thank you so much, Austin, for sharing your experience! We are striving to be the best hotel around so it's refreshing to hear that our guests feel that we are on our way! We look forward to seeing you again soon! We decided to stop over in Ruston on our trip to Branson. This hotel sits on top of a hill by itself. A restaurant is currently being built in front of the hotel. We arrived about 1 hour early. The check in lady was very nice. We told here we know that we are early and was hoping our room would be ready. She checked and said yes, it is ready, so with luggage in tow we headed to the 3rd floor. Opening the door revealed the room was not ready, so luggage in tow we headed back downstairs and told the lady the room was not ready. She said give us about 30 minutes. No problem since we were early. We drove through Louisiana Tech to see all the changes that has and is taking place with buildings. Back to the hotel. She said I moved you to the second floor, so again, with luggage in tow we headed to the second floor. Opening the door revealed the room was not ready, with luggage in tow we headed back downstairs to tell the young lady the room was not ready. This time she handed us keys to a room on the third floor, luggage in tow we headed to the third floor. The room was ready!. Very clean and spacious room. Typical hotel breakfast. The hotel is barely over a year old and still smells new. We would definitely stay there again. I am so sorry that you had to go through that during check in. We are always trying to improve our processes and it seems that day we failed you. I'm glad that you still enjoyed your stay and we appreciate your business. Come back and see us soon so we can get a chance to get your check in right this time! My first stay at a Best Western Plus, and I was very impressed. The hotel is very modern & clean, and my room was spacious & included microwave, refrigerator & coffee maker. 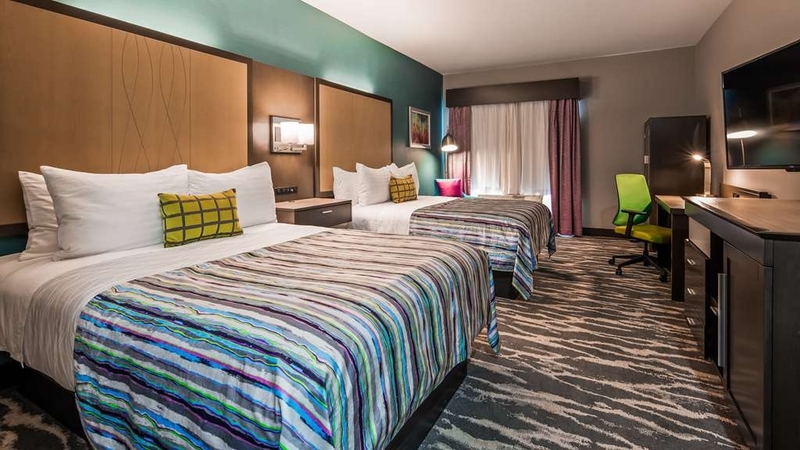 The hotel is conveniently located just off I-20, with plenty of restaurant choices nearby. I would recommend the hotel without hesitation. Thank you so much for taking the time to share your experience. We're glad you enjoyed your stay and we look forward to hosting you again soon! Carlyn(Mgr) was awesome in helping me book block-rooms for my daughter's wedding. (Especially during football season & a home game) She was very helpful, friendly & expedient with all my questions & concerns as we communicated over email for about 5-6 mos. The rooms were very clean and beautiful, bed was very comfortable and the breakfast area was clean and food was a nice selection & delicious. All my family & friends that booked w/BW had nothing but rave reviews about their stay! Thank you for sharing your experience, Libbi! Your group was an absolute pleasure to host. My Team all talked about how nice everyone was. We're glad to have been a part of such a happy occasion for your family and we will be right here if you ever need us again. Take care and we all hope to see you soon! This is my choice hotel that I usually stay at when visiting my son at LaTech. Staff always greets me with a smile and makes me feel welcomed and is very helpful. The rooms are clean and well kept. The bed is comfortable and breakfast was great. Aww! Thank you, Shatina, for taking the time to share you experience! We appreciate your continued business very much and look forward to your next stay with us. This hotel is great! Super clean rooms and very friendly staff! This is a great place to stay if you're in the area. They also have a wonderful breakfast. The kids really enjoyed the swimming pool. We just wish we had stayed longer! Thank you so much, Mrs. Tammy, for sharing your experience and for recognizing my Team. Glad the kids had such a great time and that we could be play a part in creating happy memories for them. We look forward to hosting you and your family again! Had a one night stay here for work. Probably the best Best Western I've stayed at. Very modern and clean. Great customer service and breakfast. Lots of restaurants near by. Can't say enough good things about this BW. Loved the room! Wow, what a great review to wake up to! Thank you, Beth, for sharing your experience and for recognizing my Team. I really did hit the jackpot. We appreciate your business and look forward to seeing you again soon. Awesome staff, very clean, quiet rooms, bed was excellent, and the breakfast was great with a roomy eating area. Staff was very friendly! Price was very reasonable. If you haven't stayed here you're missing out on a wonderful experience! Rosa, thank you so much for sharing your experience and for recognizing our Team! We are striving to be the best hotel in Ruston and your comments let us know we are well on the way! We look forward to seeing you again soon! Got caught in the rain while riding to Texas. Stopped here for the night and it was a great choice. The place must be pretty new. The young man at the counter was very helpful. Got a very cheap rate. The room was very nice. Breakfast was good. All around great experience. Thanks, Joe, for sharing your experience! I'm glad we were able to give you shelter in the storm. Thank you for stopping and we hope to see you again! Very new hotel, great staff. Breakfast has improved considerably since first opening last year. Rooms are well maintained, comfy beds and great a/c. I would definitely recommend staying here for business or pleasure. "Excellent staff & overall accommodations!!!" We enjoyed our stay at this location so much! We were warmly welcomed by staff that seemed to enjoy what they do. The property is impressively clean and well maintained. USB ports everywhere which was very convenient. My husband and I both remarked of how well we slept as the pillows and mattress were high quality. Breakfast was nice, with plenty from which to choose. Our experience was over and beyond in every way. We are looking forward to our next stay at BW Ruston. Thank you so much for sharing your experience and for recognizing our Team! We do pride ourselves on our service and cleanliness and I'm glad it clearly shows. We look forward to hosting y'all again soon! I stay in this location often and use to use another chain. I stopped at this location and from the first time I stayed here I haven't went back to the other. VERY nice, clean, friendly hotel. I travel for business and stay at 4 hotels per night on most weeks and this hotel is one of my favorites! The hotel was new, clean, beautiful, and breakfast was wonderful!! It is an easy on and off the highway and there are a lot of places to eat right across the street and a Walmart. This is the nicest hotel my family has stayed in!! Thank you so much for sharing your experience, Tiff! We're glad you and your family enjoyed our facilities. We appreciate your business and hope to see you all again soon! This hotel felt new and was super clean. Bedrooms were roomy - the suite has a nice sitting area, nice sized bathroom and beds were comfy. Breakfast was good and more than just a cold breakfast. Staff was very friendly. Would recommend for families for sure! Thank you for sharing your experience, Jennifer! I really appreciate you recognizing my Team as well. We pride ourselves on our service and are so glad you enjoyed everything. Please come see us again soon! Very clean and accommodating hotel. The only problem I encountered on my stay was housekeeping. Our room didn't get serviced during our stay meaning we had to ask for everything. Other than that it's was a great stay. Thank you for sharing your experience. As promised, I will be addressing this issue at our meeting this week. Thank you for letting me know. We appreciate your comments and you business and look forward to seeing you again. Thank you so much for sharing your experience, Adrian. Comments like these make the rough days worth pushing through. We very much appreciate your business and look forward to seeing you and your family again soon. I will also be sure to share your kind words with my Team. Thanks again! "Huge Lobby - Huge Rooms"
This is a newer hotel that has been open for less than a year and it shows. Gorgeous, huge lobby and impressive entrance. Our room was large as well with a nice sitting area. The use of lots of of fun neon colors in the room made it look very welcoming. Bathroom large with a large vanity and plenty of space. Massive TV mounted on wall above a large dresser. I've never seen so many options for charging electronics in my life. There were two outlets and two USB ports on each side of the bed which was in addition to those at the desk. It was outlet heaven here. One small problem with the room - no luggage rack or decent place to set luggage. I asked the person working the front desk and was told there were no luggage racks available. We used the ironing board we found in the room closet! I inquired with management later and found that luggage racks are available but that there was a “training gap”. If you don't see a luggage rack in your room just ask if they can get one from a vacant room. They had really nice thick sausage gravy, some of the best patty sausage ever and lots of yogurt choices. I really liked the Noosa vanilla bean. I was blown away with the options for breakfast. Thank you so much for the lovely review! So glad you enjoyed our design and amenities. We look forward to seeing you again very soon! Great stay at the Ruston Best Western. Rooms are very comfortable and clean. 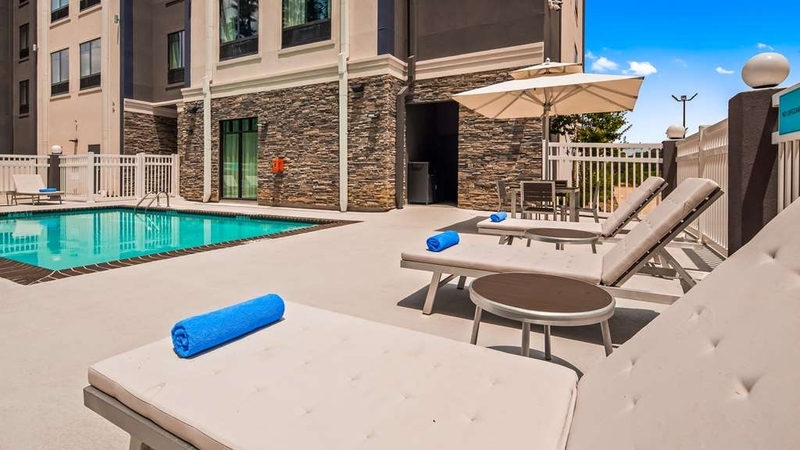 Pool and outside areas are well maintained. Breakfast was great, and every employee was very well mannered. Would recommend to anyone staying in the area. Thank you, Jon, for your kind words and for recognizing my Team. We are striving to be the best in town and your comments let us know we are certainly on our way. Thanks again and we look forward to seeing you again soon! This is one of the best hotels in the Best Western chain we have stayed in. The rooms are spacious, clean and beds comfortable. The employees were all friendly and helpful. Close to I-20, so easy to get to. The only problem I see would be if you were towing a vehicle, parking could be a problem. Wow! Thank you so much! What a great way to start the day :-) I will share your words with my Team. I understand your concern about the parking. We have had several guests stay with vehicles, trailers, and work accouterments in tow and have yet to experience an issue. If you're ever coming through with something in tow and are concerned just give us a call. We can figure something out for you. Thanks again for sharing your experience, Marilyn! We appreciate the time you took to do so and your business. We'll see you next trip! "Staff not prepared for large groups and big check outs." Clerk did not handle check-in and reservation. No manager present we had to wait until after 4p.m. to check-in and clerk did not have time to complete my reservation, she stated it's time for me to leave and another employee came employee #3 and repeat the entire. I would not stay at this hotel ever again. The staff know nothing about customer serve. Best Western as a WHOLE has terrible customer service. I have stayed at BW over 60 times in the last 12 months, a BW with poor rating treated me with more dignity and respect then this brand new shining property. Catherine: I'm sorry that you had a rough experience. I can say that we had plenty of staff on hand to handle the rooms. The problem was that people left their belongings in the rooms even after we told them there were no late checkout available. That threw off the Teams trying to get ready for the check ins. I have spoken to the clerks in regards to the issue at shift change. And as far as my not being available; I had a death in my family so my apologies that I wasn't there to help you. Some things are more important than work. "Nice building but keep reading "
New but poor staff. First room had no shower curtain. Back to desk where was offered one to hang myself! Changed room, went to dinner, unpacked & got ready for bed after long day on road. Heard loud noises all night, but sure did not want to change at that point. Complained at checkout to G M. NEVER received even an apology. Guess they just don't have to provide much customer service here! To be quite honest, Ms. Marianne, you didn't give me an opportunity to help you. We have very good scores and reviews across all of the sites because of the level of cleanliness and service that we provide. I asked you to please mind your colorful language in our lobby and that I'd be happy to help you, to which you refused my help. I have already addressed the issues you reported with the Team members that were responsible for handling those items so that we don't have these issues again in the future. I appreciate your letting us know about said issues and I hope that you will give us another chance but completely understand if you decide not to. Thank you for sharing your experience and we wish you safe travels! My husband and I were in town visiting family and decided to stay at the Best Western Plus. The room was very inviting with modern decor. It had great amenities such as refrigerator, microwave and coffee maker. We walked down to the pool but it wasn't open as of yet. My husband used the gym in which he really enjoyed. The best surprise was the breakfast. They didn't serve the standard continental breakfast. Instead they had a waffle station with several toppings to choose from, chicken biscuits, eggs, bacon, sausage and gravy. They also served cold items such as cereal, yogurt, sweet cakes and more. We found the staff to be very friendly and accommodating and the price of the room was perfect for our budget. Very friend staff, very clean and well valued hotel. The price is very nice especially for all the comforts you receive like comfortable bed and very clean rooms. I would recommend anyone to stay at the hotel. Every time im in town I always stay here. "Good hotel with good service"
My wife and I had a great stay here. The check-in staffer called us in our room a few minutes after we arrived to check if we were ok, and we were treated well for the rest of our stay from there. The free breakfast has a nice range of "hot" and "cold" choices. Everything in the hotel was clean and welcoming. Controlling the temperature in the room was easy, too. Highest possible recommendation! Derek, thank you so much for your comments and your business. We are striving to be the best hotel in Ruston and your comments solidify that we are well on our way. Thanks again for recognizing my Team and we look forward to hosting you again! "Will definitely stay here again." The staff was helpful, room was excellent and I slept great. I did not have any problems during my stay. One thing I really love about this hotel is the coffee machine in the lobby is always available so I don't have to drink the coffee in the room. Thank you, Justin, for sharing your experience! We greatly appreciate your business and look forward to hosting you again. 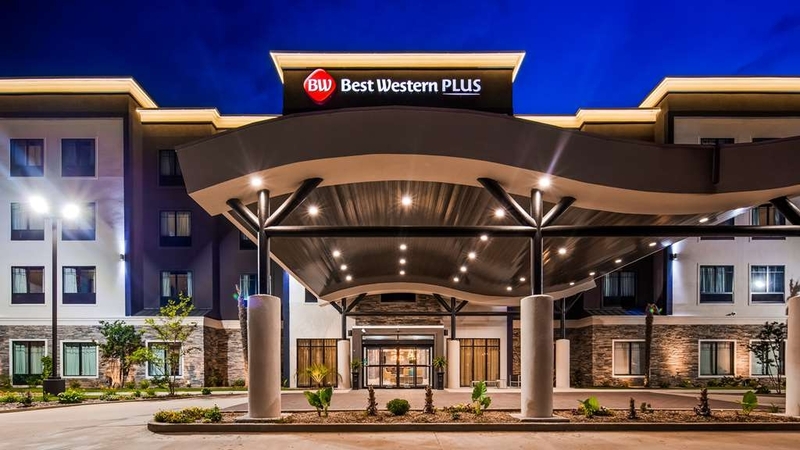 If you are looking for a convenient, comfortable, and affordable hotel in Ruston, Louisiana, I highly recommend Best Western Plus! Easy interstate highway access. Close to restaurants. Friendly and courteous staff, very clean rooms, very good breakfast bar with lots of choices for adults and children. "Could not have been any better...."
Over all this was as close to perfect of a stays as it can get- Clean,friendly staff,really nice comfy rooms...very very clean. No complaints at all,and I am hard to please for the most part. You will not be disappointed if you stay here. Thank you so much for your kind words and your business. I have shared your comments with my Team and they are elated that you had such a great stay. We look forward to seeing you again in the near future! This hotel was awesome, the décor very modern. Everything was very clean. The staff were friendly and the complimentary hot breakfast was super nice, offering so many different choices, both healthy and not-so healthy. The biscuits and gravy were delicious. Thank you for your comments and your business! We look forward to seeing you again! Great location, great staff, spacious comfortable clean rooms. Firm beds, a plus for us. Breakfast is okay if you are satisfied with cold cereal, etc. The cooked entrees are almost inedible, Plan on eating elsewhere, We found the decor unappealing. Thank you for sharing your experience! I'm sorry that our breakfast wasn't to your liking. We are always open to suggestions and love to hear guest feedback. Next time you're here, ask to speak with me so I can get your suggestions directly. This hotel is a typical mid level type of hotel (think Hampton Inn, Fairfield Inn). We enjoyed a few features that were unique during our 3 night stay. The decor was a bit funky and modern. Also, we stayed in a larger room that had a sitting area which was helpful for our family of four. The breakfast was standard free breakfast fare, although the pastry type options were very limited. The room was quiet and the beds were reasonably comfortable. Thank you for sharing your experience. We appreciate your input and your business. We have 3 different flavors of Danishes offered on our breakfast and 3 flavors of muffins. What was it you were looking for? If our food provider carries it, I can certainly look into it. Thanks again and we hope to see you again soon! We stayed one night at this new BW+. Everything was fresh and clean. The staff was friendly and helpful. We thought the bed was very comfortable and the shower (once the water finally warmed up) had great water pressure. The breakfast was okay, although we have had much better at other BW+ hotels. Our only complaint was the A/C unit - we set it to auto but even after it reached the desired temperature, it did not turn off. Instead, the cool air would stop and the fan would blow warm, humid air into the room until the temperature increased enough to set off the A/C again. It was too hot to turn the unit completely off. Luckily, we had ear plugs because the constant fan noise was loud. Thank you, Bev, for sharing your experience. I'm sorry that you had issues with your AC unit. I checked our logs and don't see where any issue was noted and I can't tell which room you were in by your username so I don't know if it was just not reported at all or just not communicated to maintenance. For your reference, my cell phone number is on my business card at the front desk. When you stay with us again, please let me know directly if you have any issues and I'll be happy to take care of it and I'm always open to suggestions about our breakfast. We are still kind of new and are trying new things out all the time until something sticks. Thank you again for your comments and your business and we hope to see you again soon! Hotel was clean and staff was pleasant. Breakfast was good, especially for the standard hotel version. My only issue was the mattress was too firm for my taste. My traveling companion had the same complaint. Would stay again if going thru Ruston. Thank you for taking the time to share your thoughts, Amy! We really appreciate your business. I do understand about the mattresses; some guests have shared your opinion. Thank you again and we look forward to your return visit. Good room, good breakfast and nice people.My only real complaint was the drunk gangsters that I meet in the elevator. Doubt that's the normal but would have really made a lady uncomfortable. Will stay here anytime I'm in town. If we could pick all of our guests it would be a perfect world. As we discussed on the phone, any time you feel uncomfortable at a hotel always alert the desk staff and we will handle the situation. Thank you for your comments and your continued business. We look forward to seeing you again soon! New hotel that has helpful and pleasant staff. Rooms and common areas are kept very clean. Breakfast is good and attended to consistently with nice staff. Front desk staff are so nice even under pressure. Overheard management speaking to staff in a very up-beat encouraging way! QUALITY staff and facility! Managers have to remember that without a quality Team who is going to care for the guests? We can't be everywhere at once but our culture sure can. Thank you for recognizing my Teams' awesomeness. We aim to be the best hotel experience in Ruston! We look forward to hosting you again! "Plus is Appropriate Title for this Hotel"
1. We chose this hotel to try because they do not allow smoking or pets. This hotel is brand new and the interior is beautiful. Our room was new and very clean. 2. We were having trouble making reservations thru Central Reservations over the holidays so we called the hotel. Jacquisha helped us with reservations and got us enrolled for the Winter promotion. 3. They furnish a very good breakfast with fresh fruit included. The area is supervised by a nice lady who will help you with any requests and the whole area is very clean. 4. We did not have any cell phone problems but were advised we might have a problem. We were on 4th floor so that apparently helped. 5. We filled out their survey with some remarks and the hotel manager responded back to us regarding our comments. We are new to the Rewards Program and that was explained in the response. 6. 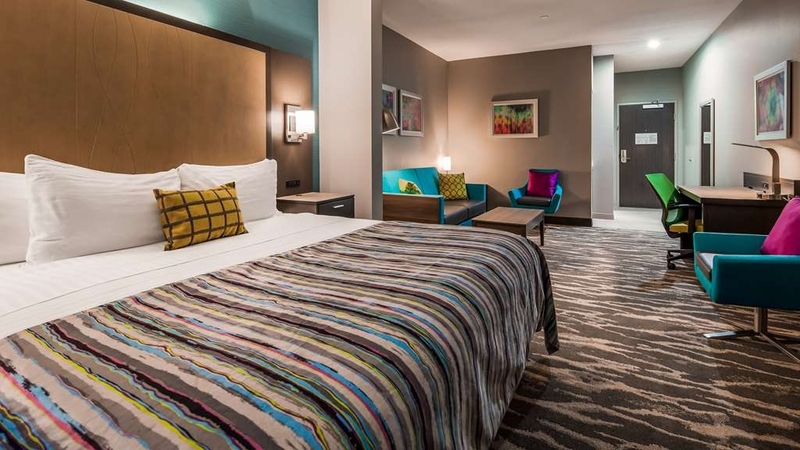 We have just recently discovered the Best Western Plus Hotels. Not all have the pet restriction but that is why we will be seeking them out and giving them a try when we can find them in our travels. 7. The employees at this location are true gems. Chad was so nice to talk to as we were checking out. We enjoyed our Grab and Go bag with the orange inside. 8. Just be aware this hotel is located in an area where two universities reside. So make sure you have reservations during certain times of the year. Thank you, Deborah! It's not often one takes to the time to fill out surveys on multiple mediums! I will share your words with my Team again. They were quite pleased to be recognized already so I'm sure this will ice the cake! Thank you for letting others know your experience and especially about booking ahead for during any of the 2 universities special events. That's VERY helpful information for your co-guests :-) We look forward to your return! "New YeaR Eve, Get awaY..."
Wow! Thank you so much for all the kind words. I will definitely share this with my Team. We appreciate your business and look forward to the opportunity to host you again. "no cell phone use in rooms"
This was my first time to stay at Best Western. I was very impressed with the hotel, until I tried using my cell phone in the room. It wouldn't work. After talking with the front desk, they told me it was because of the hotel being built out of concrete. Thank you, Cynthia, for taking the time to share your experience. I understand your frustration with the cell phone issue. We've tried getting a booster but the signal outside is not strong enough to bring inside. The clerk should have informed you to connect your device to our wifi and then turn on wifi calling. If your device doesn't have that option, we don't charge for local OR long distance calls so you are free to call from your room and not incur any charges. I will work closer with them on these instructions. We were traveling through on trip to Dallas and this was our favorite stop. New and decorated so modern and cute....our grandteens loved it. Delicious breakfast and ultra friendly staff. Will stop there again! Now, thats how you start a day! Thank you so much for sharing your experience! We appreciate your business and look forward to seeing y'all again on your next trip through Ruston! Thank you so much for taking the time to share your experience! We look forward to serving you again in the future. I truly enjoyed my stay. It was nice and clean and the staff was very friendly and attentive to my needs. 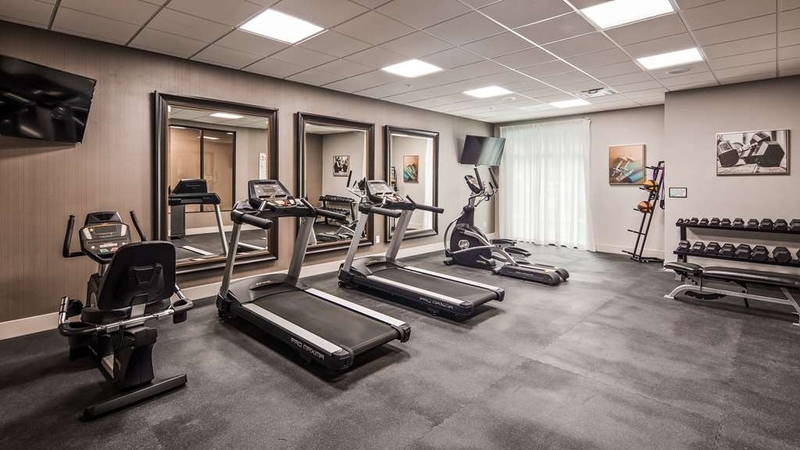 Rooms and fitness center had everything I needed. Breakfast was better than most places I've stayed. The only reason for 4 (instead of 5 stars) is because the water took too long to get warm and still never got as warm/hot as I like it also had problems with my room key (didnt stay activated and had to reactivate each day). I stayed from 12/8/17 - 12/10/17 and both front desk clerks (the lady that checked me in & the male that checked me out) were both awesome the whole time. I also paid more than the going rate but I booked with BW Customer Service and not sure why it was higher over the phone ($99 per night). I will definitely stay again at my next visit. Thanks BW! Thank you for sharing your experience! I looked into the key issue and I believe it was because you had 2 separate reservations. I've also made note of your room number so we can check on the hot water. We should be able to simply adjust the backside of the handle. We look forward to your return and greatly appreciate your business. Excellent Stay, courteous staff, clean. When returning to Ruston this will be where we will stay in the future. I will also book when I travel to other places. This Stay saved us money over our usual Marriott Stay the only thing I missed was the quality of a Marriott mattress. My husband and I will make Best Western or choice in the future. Thank you for sharing your experience with us! I love that my Team gets so many compliments. We appreciate your business and certainly look forward to hosting you again on your next trip to Ruston. The staff was extremely cordial and nice. The facility was fresh and clean. The location was good and was right off of the interstate. The breakfast was good and has a variety of options. I would recommend this place. Thank you for taking the time to share your experience! We greatly appreciate your business and look forward to serving you again! "Cellular signal was blocked because of construction of hotel!" No cell service while inside hotel, furniture in dining area is rickety and some are tip-over hazards. Seating in room was lacking in comfort and size. Interior design is trendy but they forgot about comfort and safety. I'm sorry that you didn't enjoy your stay. I hope that your room was at least clean and the staff gave you excellent service. We are certainly aware of the cell and furniture issues. I've confirmed with the owner that the company sent us the 'rickety' furniture does have replacements in production and they will be sent as soon as they can be. In reference to the cell reception, unfortunately there isn't much we can do about the construction of the building. We have sent requests to all the major carriers to increase the number of towers in the area but it's going to take a LOT of people doing that before any change is seen. However, we don't charge for long distance calls and we do provide free wifi so you can still stay connected. I hope that you will give us another chance the next time you're in the area. We would appreciate your business and hope to get another shot at it. 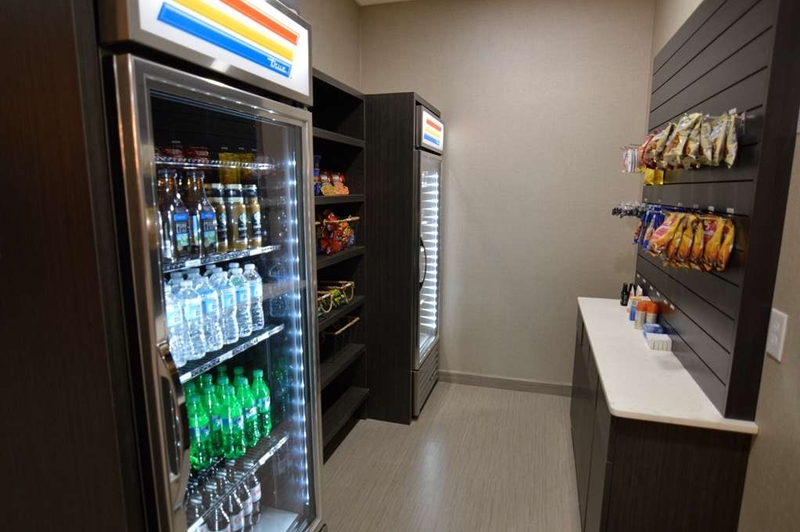 "New Best Western in Ruston, LA"
A new hotel which is spacious and up to date in amenities. Everything functions well and the staff is very helpful, courteous, and pleasant, from check-in to breakfast to check-out. This is second time we've stayed at this hotel traveling to/from FL and TX. It is close to I-20 but set back so there is no traffic noise. We'll be staying here again in the future. Thank you for taking the time to share your experience. I do apologize about the fitness room. It is fully repaired and open now. We do have some rooms with tubs and some with showers. If you prefer a tub, let us know when booking and we'll make sure you get the room that accommodates your needs. We appreciate your business and look forward to serving you again on your next trip to Ruston! "Over charging of room rates"
I was in town to attend Grambling State University Homecoming of activities for the weekend. I secured a room not knowing that the amount was going to be far greater than I had anticipated. $249 per night. Upon getting the amount for one night, I quickly changed to a one night stay and moved to a different hotel. Thank you for taking the time to share your experience. As we discussed when you called, our rates were where they were due to it being the highest demand weekend of the year and it being so close to the date of the event. Please give us a call as soon as you know what dates you are traveling next year and the rate will be lower than it was when we spoke this year. Keep in mind that the closer to the date you call the higher the rate will be as our revenue managers adjust them based on our room availability. We look forward to seeing you again and greatly appreciate your business. 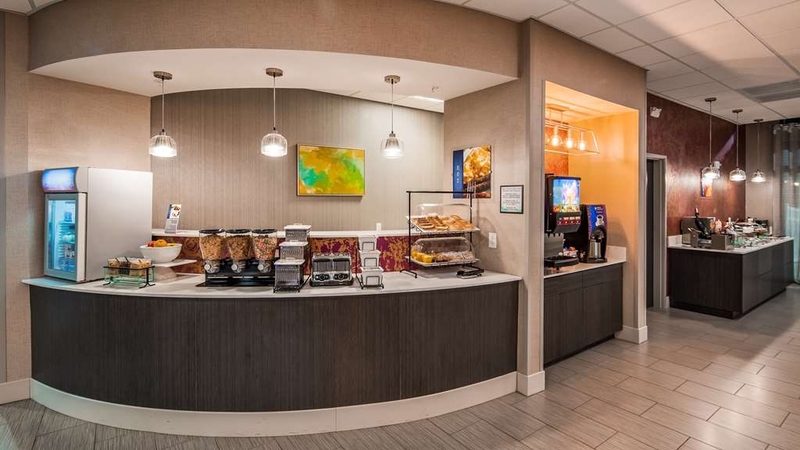 This is a beautiful new hotel with comfortable beds, a very nice business center, a wide variety of choices for breakfast and it was kept up very well, and smiling, helpful staff. Nothing to complain about here! Thank you so much for kind words! I am very proud of my Team for the service they deliver and the culture that we've all created together. We look forward to seeing you again! This is a very nice place to stay..It was just a bit too much on price for the weekend due to GSU Homecoming for a new facility but hopefully that all will change for next year. But I highly recommend staying here it's really nice!!! Thank you for your kind words! Our rates were much higher that weekend due to the heavy demand and with us entering the market so late. If you are planning on traveling to the area for that same event next year, give us a call as soon as you know which days you are coming and the rates will be lower. Keep in mind the closer to the date you call the fewer rooms will be available and therefore price will increase as it did this year. We look forward to serving you again upon your next trip to Ruston! Hotel is clean, modern & super comfortable. The staff was friendly and helpful. Breakfast was good & WiFi easy & accessible. Super easy to get to the hotel, and lots of local dining options close by. I wish we'd been able to stay in this location longer! The value of this location far exceeded the price we paid. If you're staying anywhere in the area, I'd say it's worth a little drive to just stay here. Thank you so much for taking the time to share your experience. We do take pride in our cleanliness and service and are striving to be the best in town! We look forward to seeing you again upon your next trip to Ruston! The first night we stayed there was absolutely perfect. When we returned the very next night, the price for the same type room had doubled because of a local university's homecoming. This may be policy world wide, but it seems a little unfair. Just so the corporate office can pocket more money. Bet they don't share it with the staff that has to work harder! I am from Ruston, LA, but have recently moved to the DMV area. I was traveling with family for my Grandmother's 80th birthday celebration. Customer Service: Adam at the Front Desk was great!! Also, their head housekeeper (didn't catch her name) is extremely nice. They really made our stay enjoyable. Breakfast: Was Subpar also, they only had pork options for meat. Cell Reception: The reception for cell phones is really bad on the inside of the hotel. Price: The price was higher than expected for the area. However, there were college football games going on this same weekend for Louisiana Tech and Grambling State. I believe all of the hotels in the area jacked up their prices because of this. Other than the breakfast options and the cell reception, the stay was great. It was clean and pretty and the parking lot was so well lit. I would definitely stay again. I do understand about the cell phone reception. It is a challenge. We have notified the service providers in the area to see if there are any plans to install additional towers. We've basically been told that if enough people request it, they'll consider it. We are making some changes to our breakfast. What sort of meat options would you like to see? I appreciate you taking the time to share your thoughts and we look forward to seeing you again upon your next trip to Ruston. Beautiful hotel great location and excellent staff. The staff made my stay a wonderful experience. I will have to travel to Ruston at lest once a month for the next four years this will be my hotel of choice. Thank you for sharing your experience! I am very proud of my Team and we look forward to seeing you on your next trip to Ruston. Great Experience. Beautiful hotel with an abundance of luminous colors. The King Suite was wonderful for my girlfriend and I on our trip back home. We were very happy to have found this nice hotel for the night. Thank you so much for taking the time to share your experience with us. Please remember us when you are traveling through again. "Excellent place to stay. Off the highway enough to not here the traffic and close enough to stores in town. E"
Excellent place to stay. Off the highway enough to not here the traffic and close enough to stores in town. My stay was great. Had a new hotel smell of just cleanliness. Hotel rate was awesome too. I am making this hotel my go to for the future. Good morning and what a great way to start the day! Thank you for taking the time to share your kind words. I will certainly let my team know how much you appreciate their work. 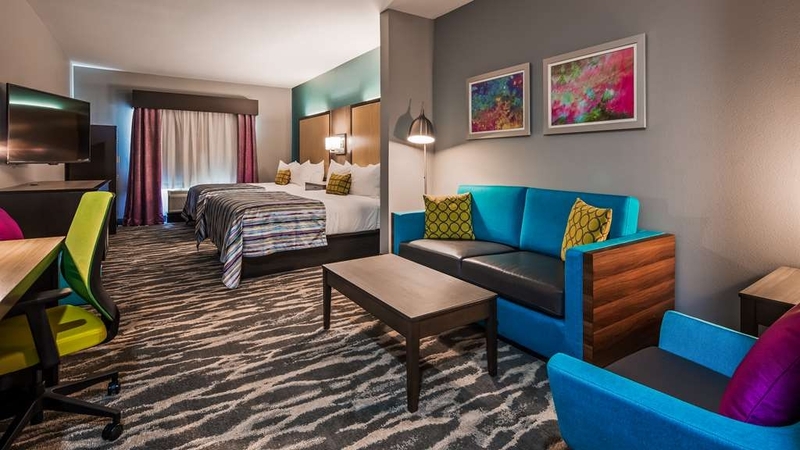 We look forward to being your 'go to' home away from home on your next trip to our beautiful city! Thank you for taking the time to share your experience! 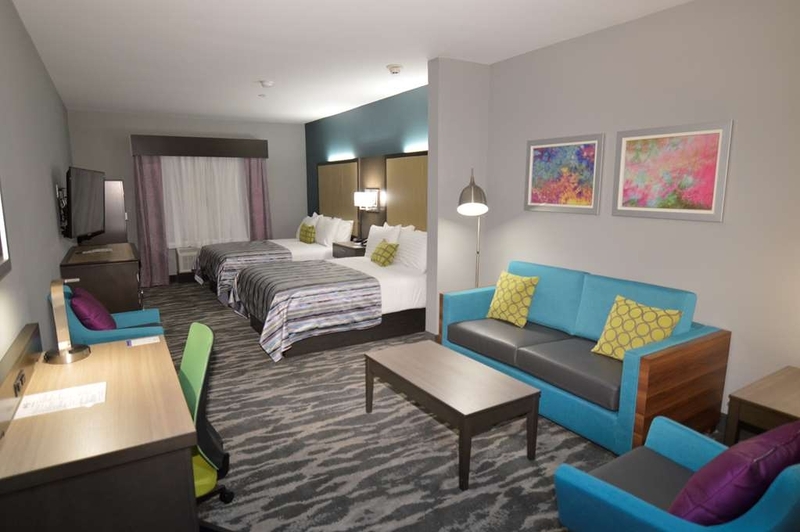 We look forward to being your home away from home on your next trek to Ruston. As a solo 68 year old female I always check reviews before choosing a hotel . Best western Plus is really working to provide great hotels at great prices and this one did not disappoint. Friendly front desk, clean and comfortable room. Bed and pillows very comfy with thick towels in bathroom. WiFi was very good and tv offered lots of channels. Breakfast at all of these Best Westerns are all the same offering eggs with either sausage or bacon and a variety of rolls, cereals and waffle machine . I'm not crazy about the offerings but it's free and does the job of feeding you and getting you on the road . This hotel is new and hope to one day visit again. Thank you for taking the time to share your thoughts. We are working on some changes for our breakfast offerings. I'd love to hear your feedback upon your next trip or if you have some suggestions. We look forward to serving you again. "Great spot to La Tech from"
Stayed there over night when taking our daughter for her college visit to la Tech. Very new and modern. Very close to campus. Solid breakfast. Helpful staff, very easy check-in and check-out. Like the use of the online app for information and requests. Hello, again! Thank your for also taking the time to share your comments here as well. We are really digging the new platform, too. Can't wait till more guests start using it! It really helps us communicate effectively and efficiently. We look forward to your return. Mr. Adam at the front desk is da bomb. Very knowledgeable, kind, helpful, eager to help, the hotel is fabulous, great breakfast buffet. Will always stay here when in Ruston. We went to visit Louisiana Tech University campus for my son. What a fantastic comment to start the day with! Thank you so much for taking the time to share your thoughts. I will certainly share them with Mr. Adam. We look forward to exceeding your expectations upon your next trip to Ruston! "Very nice to have a good family time. Great service and employees"
The hotel have 10 star, great on everything. The employees on front desk do awesome job. The swimming pool super clean, the room so pretty, fast Internet, the breakfast super nice and everything look clean and beautiful. Have a good team work! Thank you so much for taking the time to share your thoughts. We appreciate your business and look forward to exceeding your expectations again on your next trip! Beautiful hotel with amazing staff. Adam is an outstanding young man who is friendly and helpful and made us feel so welcome. All staff was super friendly. Location close to several restaurants, shopping, Walmart, gas. Also close to historical downtown and Louisiana Tech. Thank you for taking the time to share your thoughts. I will certainly relay your kind words to Adam. He is our newest team member at the front desk and is doing a great job! "One of the Best in Ruston LA"
Thank you for taking the time to share you thoughts! We are still working on our breakfast. There are some exciting changes coming. Once we use up our stock we'll be adding some different options and expanding some of what we already have. Keep checking back as we are improving all the time! We loved our stay! New property with Love for Travelers! Big focus on customer comfort. From Lobby to Room, this property is an Oasis. Quality Hot and Cold breakfast options. Breakfast To--Go Bags were Cherry-on-top! Great value. Felt appreciated. Wow, what a great compliment to start the day! Thank you for taking the time to share your thoughts. 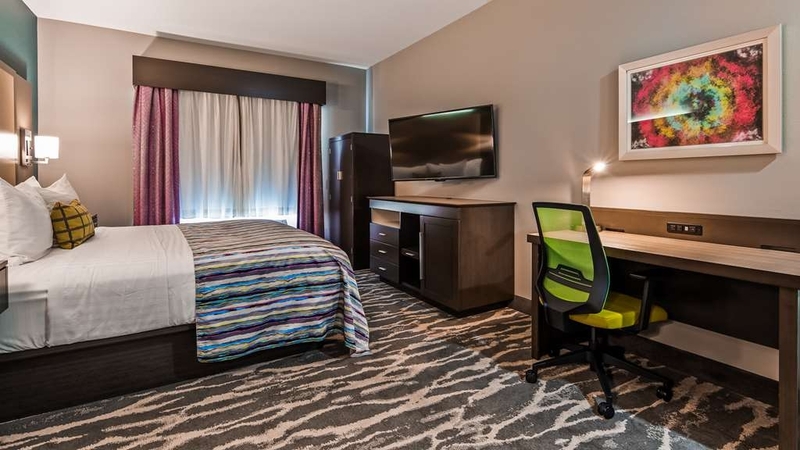 We look forward to being your home away from home on your next visit! This new facility with fresh modern decor provided a comfortable and pleasant place for an overnight stay. The breakfast was ok but in need of more variety and better quality eggs and bacon. The staff was very nice. Thank you for your taking the time to share you thoughts. As promised, I'll be checking out other options at the food show today. We did a makeover of our layout already and I'm pleased to say the flow is much better! Can't wait to 'Wow' you with our changes upon your next visit. Picked this place because I have been unhappy with other hotels in the area. This is a brand new hotel and I was glad I chose it. Rooms well appointed and staff very friendly. Very clean and comfortable rooms. Only complaint is the lack of a variety on breakfast bar. Need healthier options. Thank you for taking a moment to share your thoughts with us. Since we are still new in the market we are trying to feel out our clientèle. What sort of healthier options would you like to see on our breakfast upon your next visit? You may contact me directly at the hotel if you like. We stayed at the Best Western while in town for a football game. The check-in and check-out staff were courteous. The rooms were clean and comfortable. The location was great, and was convenient to the La Tech campus as well as the downtown area. We recommend this hotel, and would definitely stay here in the future. Thank you so much for taking a few minutes to share your review. We look forward to hosting you and yours upon your return to Ruston. "Great Staff w/ a Clean Facility"
This establishment is new with a great centralized location. The staff here is super friendly and eager to help. I loved how clean it was and that they offered a free breakfast and wifi. I would definitely stay here again. Thank you so much for taking the time to share your thoughts! I am very proud of my team. We look forward to exceeding your expectations on your next stay! What a great way to start the day! Thank you for your kind words. The guy with the beard is James. I'll be sure to let him know you mentioned him. We look forward to seeing you on your next trip. If you're coming for a game, book as soon as possible as we fill up quick for the weekends. This Best Western was immaculate! Everyone was extremely helpful and nice which made our stay so comfortable. The breakfast was yummy and had such an easy time checking in and out. Highly recommend!!! Thank you so much for your kind words. I will be sure to share them with my team. We look forward to exceeding your lodging needs on your next trip! "Best Stay at a Best Western!" Brand new facility with excellent accommodations. Staff was exceptional! I would absolutely recommend this hotel to anyone looking for reasonable pricing, accessible location, breakfast is free, and the Wifi was also free and easily accessible. We really appreciate you taking the time to share your kind words with us. We look forward to exceeding your lodging needs in the future. 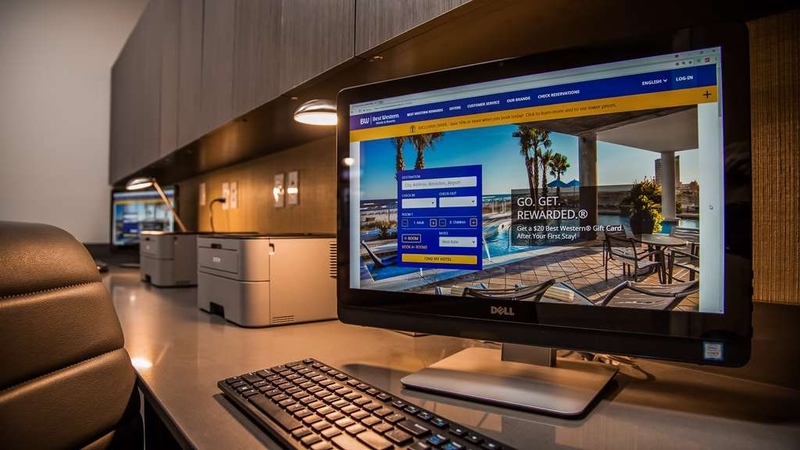 This Best Western is brand new and it really shows, it is a very nice property and I really enjoyed staying here and I will be staying here when ever i'm in this area. The General Manager Carlyn is really an asset she is very courteous and very helpful along with her staff, my wife brought my granddaughter and stayed with me since I was close to home, and everyone of the staff were really sweet to my granddaughter and she loved the swimming pool she is almost 4 years old and she had a blast and my wife really enjoyed herself so thank you Best Western for a very pleasant stay. Thank you so much for a taking a few minutes to share your positive words with us! My team and I really appreciate it. We were honored to have you and your family with us. See you on the next trip! "Satisfied for a Ruston Hotel"
I was very excited to learn that there was a new hotel in Ruston. I normally would not stay at the Best Western but the new design of this hotel met my expectations. 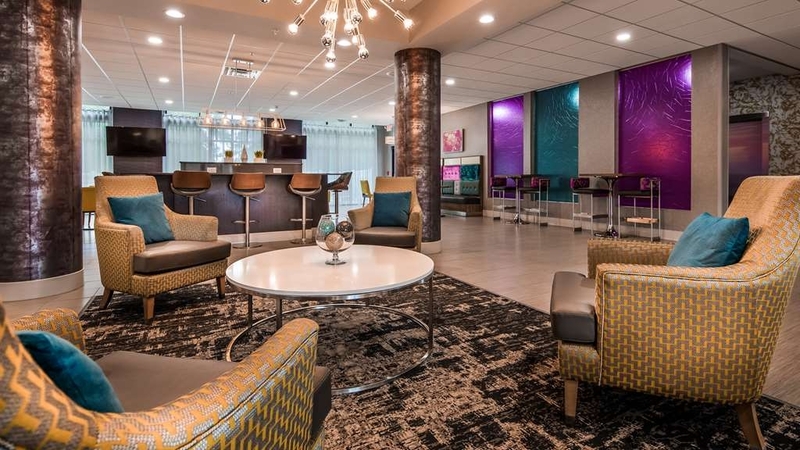 The décor is modern and the hotel is clean. Everyone that worked there was very friendly. Karlyn and Chad especially. I would definitely stay there again. Thank you so much for taking the time to give us your thoughts! I will certainly share your words with my team and let Chad know that you mentioned him specifically. Come see us again the next time you're in town! "Outstanding new hotel in Rustin"
Our King room was huge and included a sofa, coffee table, and two chairs. All this in addition to a desk and work chair. The large bathroom had lots of counter space and a normal shower (no tub). I'm really beginning to appreciate hotels that offer this option. Spotless rooms and very comfortable beds. Nicely decorated inside and out. 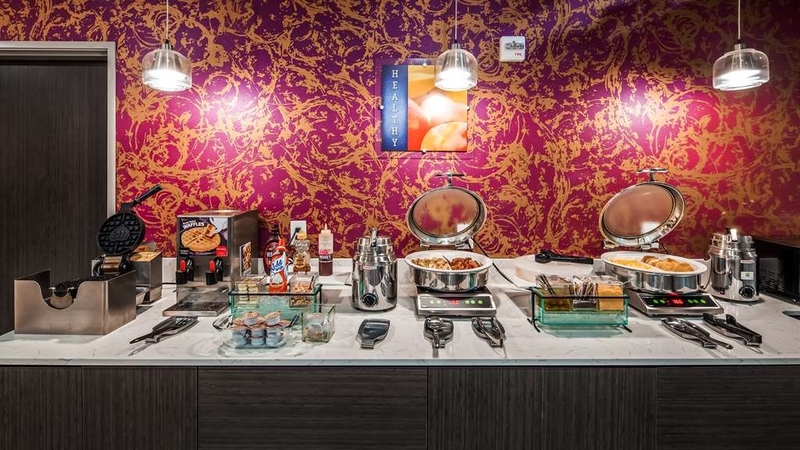 Even though the hotel was only partially filled, the breakfast was fully stocked with both hot and cold items. All of the staff provided excellent customer service and Chad at the front desk provided good choices for dinner. I will definitely go out of my way to stay at this hotel again. Being only minutes from Louisiana Tech makes it the perfect place for out of town visitors attending a game. What a great comment to start my day off with! Thank you so much for taking the time to share your kind words. I will certainly let my team know how happy you are and let Chad know you mentioned him by name. Thanks again! "A Fabulous Respit in Ruston!" This is the absolute BEST hotel under $100 a night that we have found since driving from Phoenix! The staff, (especially JanMarie) was friendly & very helpful! The rooms and public space decor was over the top trendy & fun!! The housekeeping staff & the Breakfast cooks get an "A+" rating! (THANK YOU for REAL eggs!!) We 3 weary travellers were completely BLESSED & SURPRISED by our stay at Best Western Plus in Ruston, La! Thank you so much for taking a few minutes to review us! I will be sure to forward your comments to my team and especially let Janmarie know you mentioned her specifically! See you on the way back through! Top notch. Clean beautiful hotel. Breakfast a cut above the average. And Janmarie who was working when we checked in was the BEST! Answered all our questions and recommended a great restraunt for dinner. If your in the area don't hesitate to book! Thank you so much for taking a few minutes to give us a review! I will share your comments with my team and let Janmarie know you mentioned her specifically. We really appreciate your kind words and your business! Room was clean & comfortable. All staff members that I came in contact with were courteous & attentive. Breakfast was well presented with many different choices. I will definitely stay there again, on my next visit to that area. Thank you so much for taking the time to give us a great review! My team works very hard to exceed expectations and it's great to see guests recognizing their work. Thank you so much for taking a moment to review us! Glad we could accommodate you and your wife. We're working on some new partnerships with some area restaurants so be sure to check with the desk again! They may have some new information for y'all. It was wonderful staying in a brand new hotel. The location was perfect, just being off I-20. We were able to use auxiliary roads to get to downtown Ruston and Jonesboro for our baseball tournament. The contemporary furniture and decor in the hotel were beautiful. The staff members were always friendly and helpful. We were with a group of baseball players age 11-12. We had a great stay at this Best Western. The hotel is close to many restaurants. So glad y'all enjoyed it and many thanks for the kind words! Come see us again when you come through! Overnight stay during a road trip. We ended up at this hotel after discovering all the hotels in Monroe and Ruston were sold out. This was the first night the hotel was open and we were in a line of people waiting/hoping to get rooms. The front desk agent (name started with a K - and I apologize I have forgotten her full name). She was kind, patient and helpful. She was by herself for a while helping all of us tired travelers at 9pm and I admire her customer service skills. Comfortable, spacious rooms and free wifi and breakfast. I highly recommend and advise to make a reservation in advance. This is a popular area for overnight stays. Thank you so much! The clerk that was working that night was Janmarie. I'll be sure to pass her your kind words. Be sure to come back and see us when you're passing through! Wonderful new Best Western Plus. Very modern and classy design. The staff were professional and very helpful. Recommend highly whsn traveling through Ruston, Louisiana. The room was big and beds comfortable. The breakfast has a wonder presentation and quality selection. The taste was delicious. Enjoy! Thank you for your kind words! I'll be sure to pass them on to my staff. Be sure to come see us again when you're traveling through!